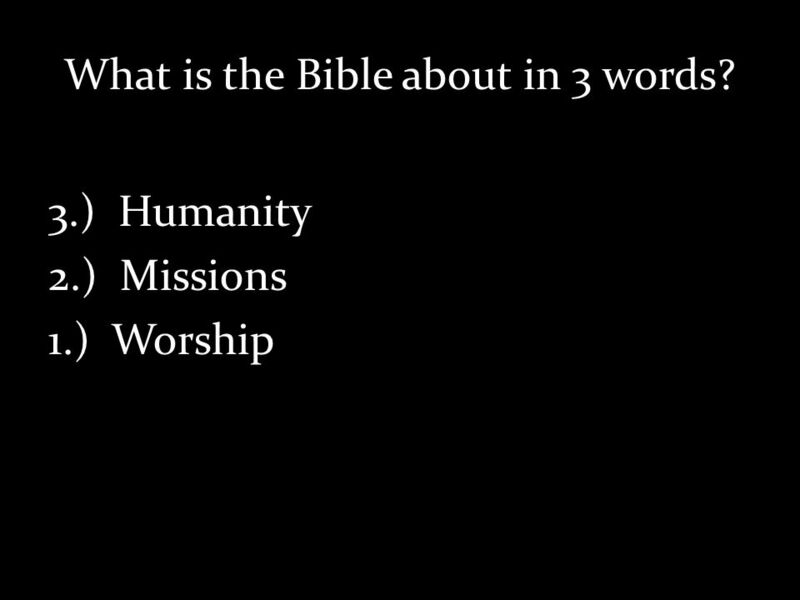 What is the Bible all about? Given that the Bible is a collection of 66 distinct literary works written and collected over a millennium and a half long. 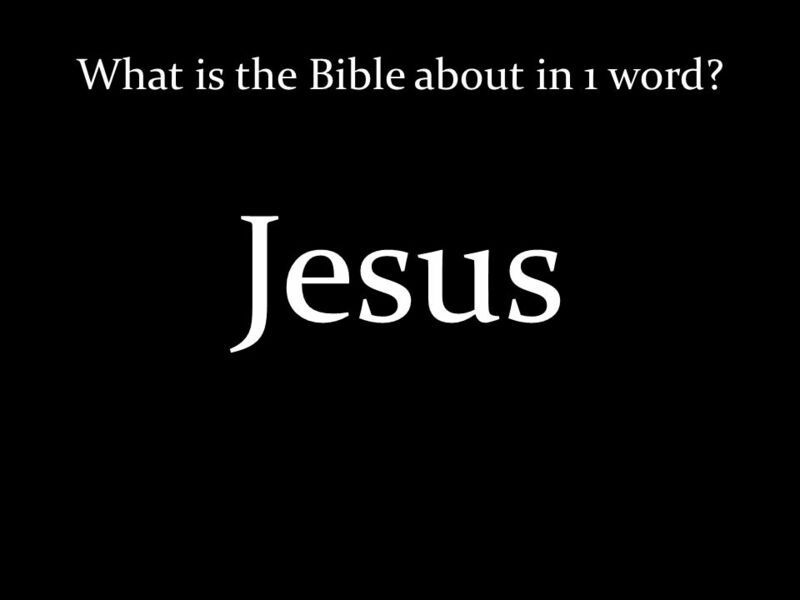 1 What is the Bible all about? 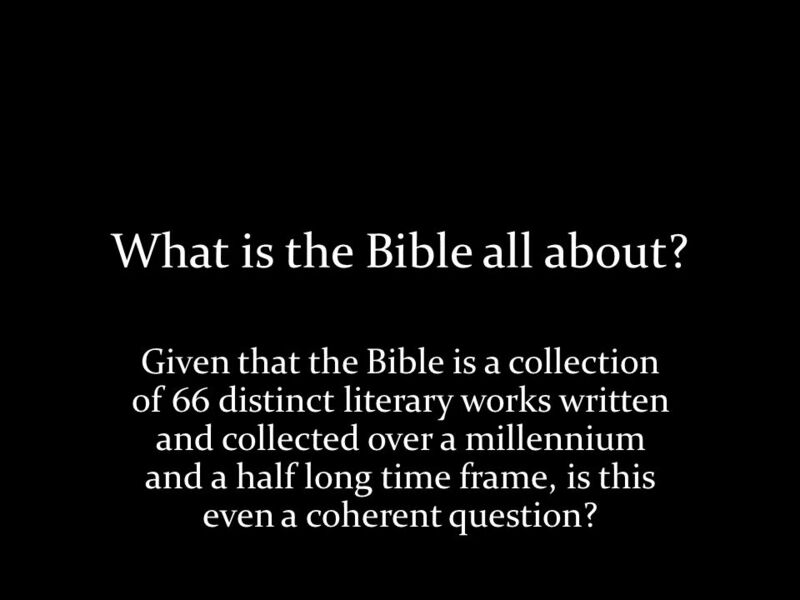 Given that the Bible is a collection of 66 distinct literary works written and collected over a millennium and a half long time frame, is this even a coherent question? 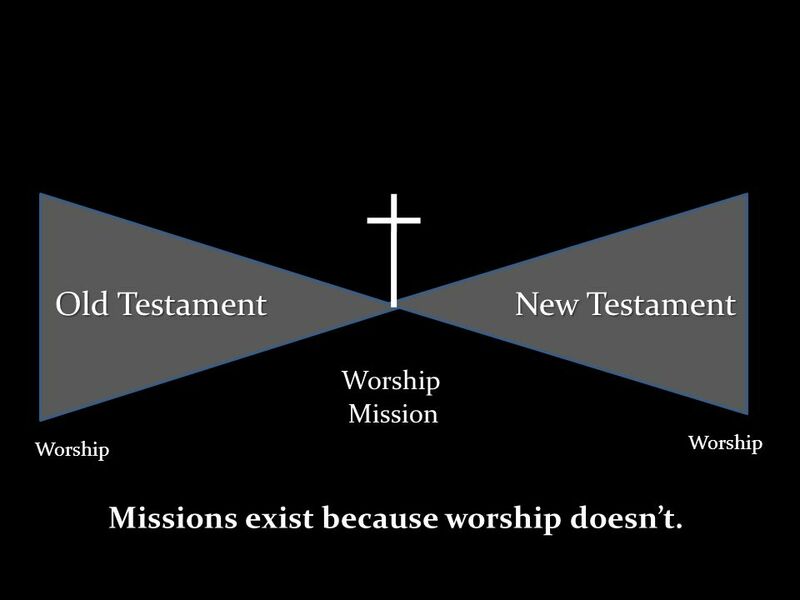 3 Old Testament New Testament Worship Mission Worship Missions exist because worship doesnt. 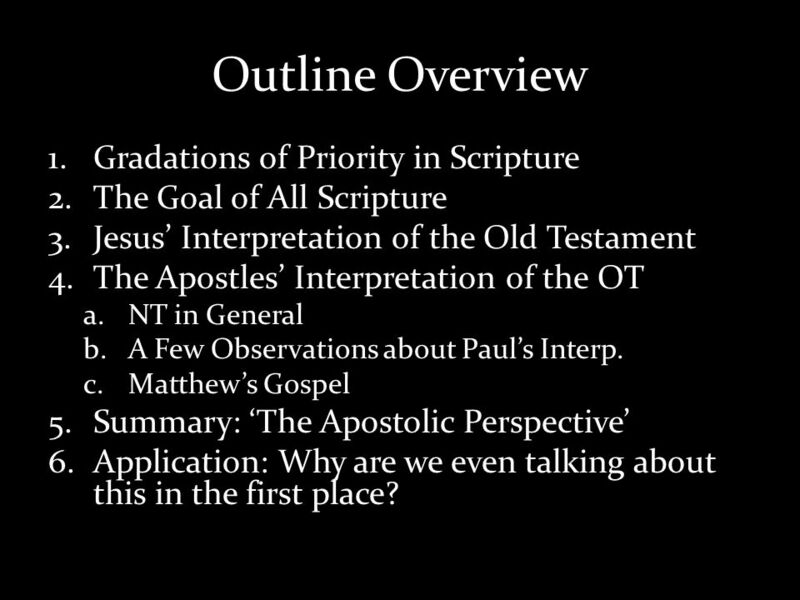 5 Outline Overview 1.Gradations of Priority in Scripture 2.The Goal of All Scripture 3.Jesus Interpretation of the Old Testament 4.The Apostles Interpretation of the OT a.NT in General b.A Few Observations about Pauls Interp. 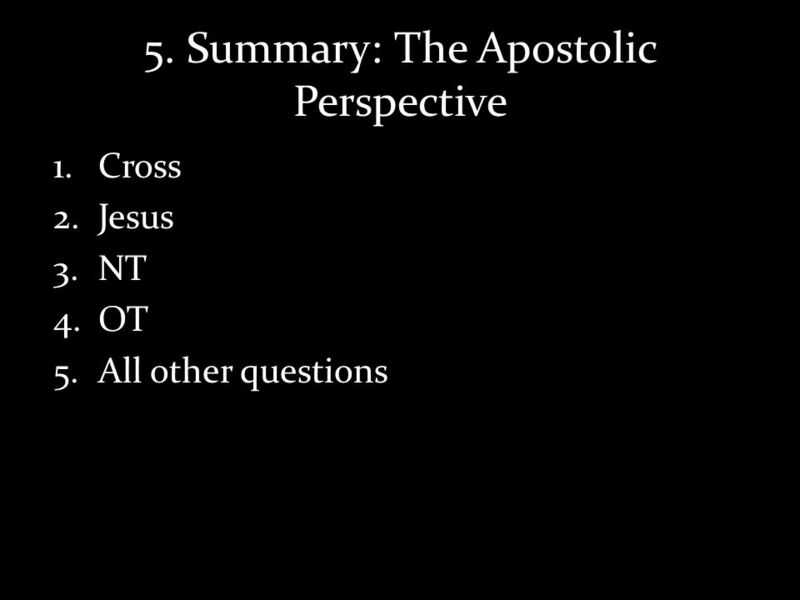 c.Matthews Gospel 5.Summary: The Apostolic Perspective 6.Application: Why are we even talking about this in the first place? 6 1. 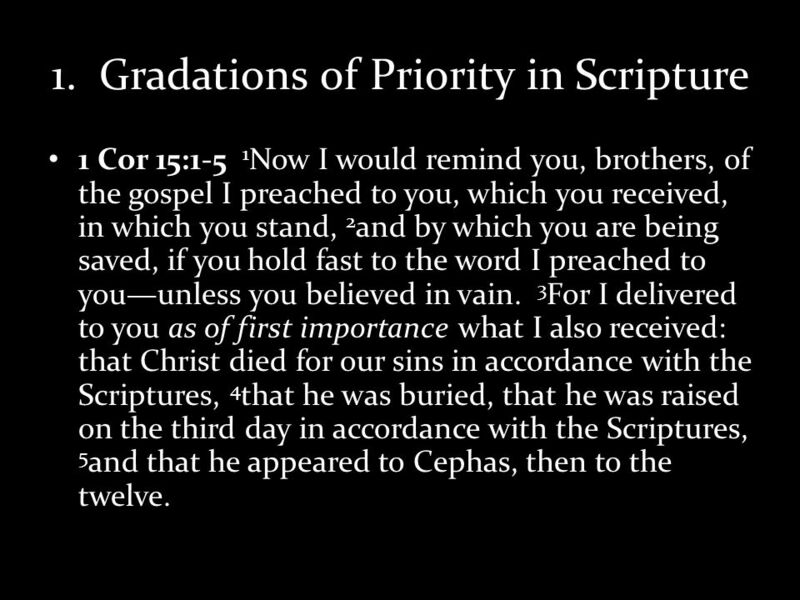 Gradations of Priority in Scripture 1 Cor 15:1-5 1 Now I would remind you, brothers, of the gospel I preached to you, which you received, in which you stand, 2 and by which you are being saved, if you hold fast to the word I preached to youunless you believed in vain. 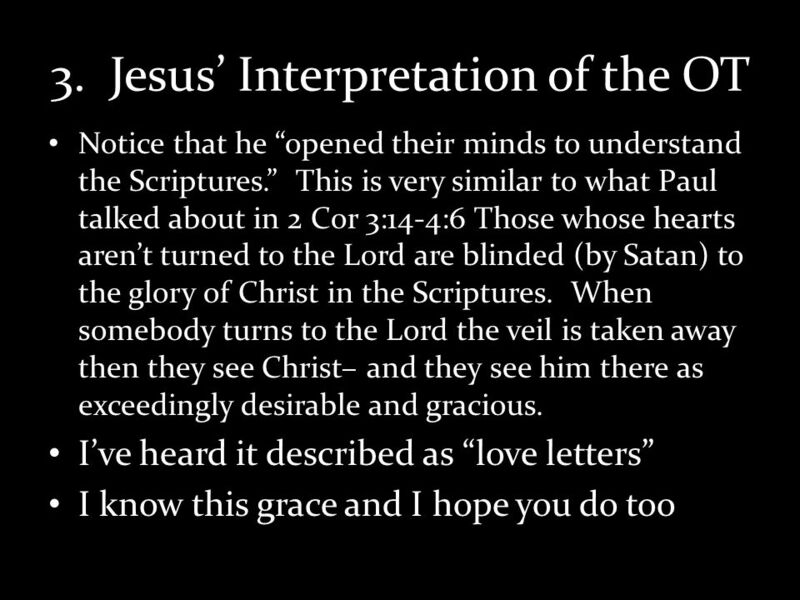 3 For I delivered to you as of first importance what I also received: that Christ died for our sins in accordance with the Scriptures, 4 that he was buried, that he was raised on the third day in accordance with the Scriptures, 5 and that he appeared to Cephas, then to the twelve. 8 2. 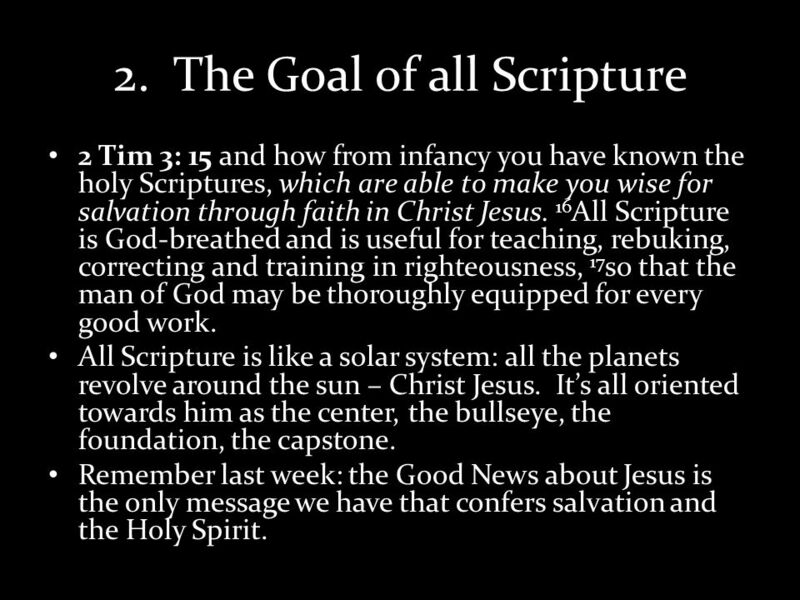 The Goal of all Scripture 2 Tim 3: 15 and how from infancy you have known the holy Scriptures, which are able to make you wise for salvation through faith in Christ Jesus. 16 All Scripture is God-breathed and is useful for teaching, rebuking, correcting and training in righteousness, 17 so that the man of God may be thoroughly equipped for every good work. All Scripture is like a solar system: all the planets revolve around the sun – Christ Jesus. Its all oriented towards him as the center, the bullseye, the foundation, the capstone. 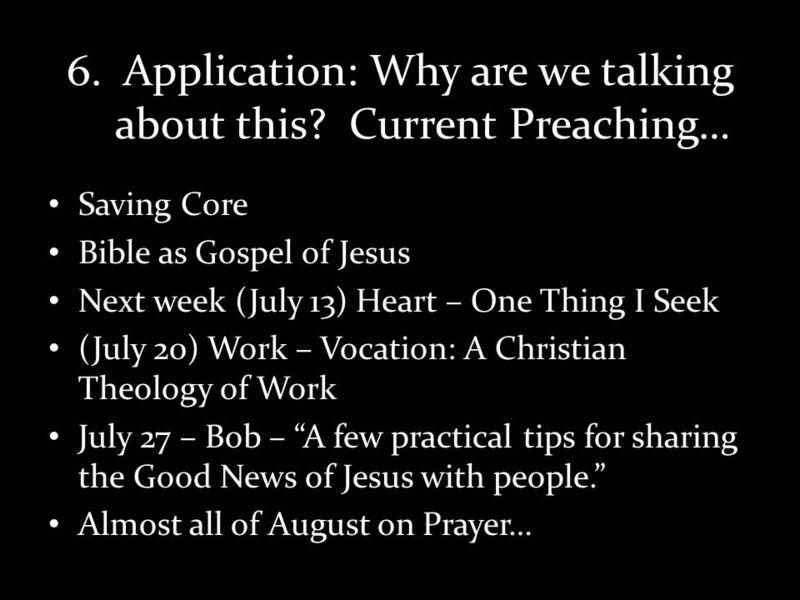 Remember last week: the Good News about Jesus is the only message we have that confers salvation and the Holy Spirit. 9 3. 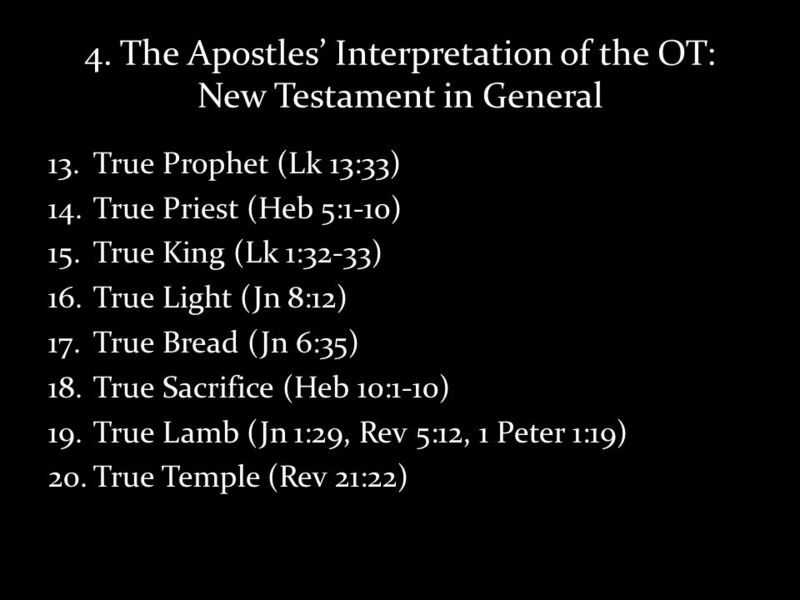 Jesus Interpretation of the OT John 5: 39 You diligently search the Scriptures because you think that by them you possess eternal life. 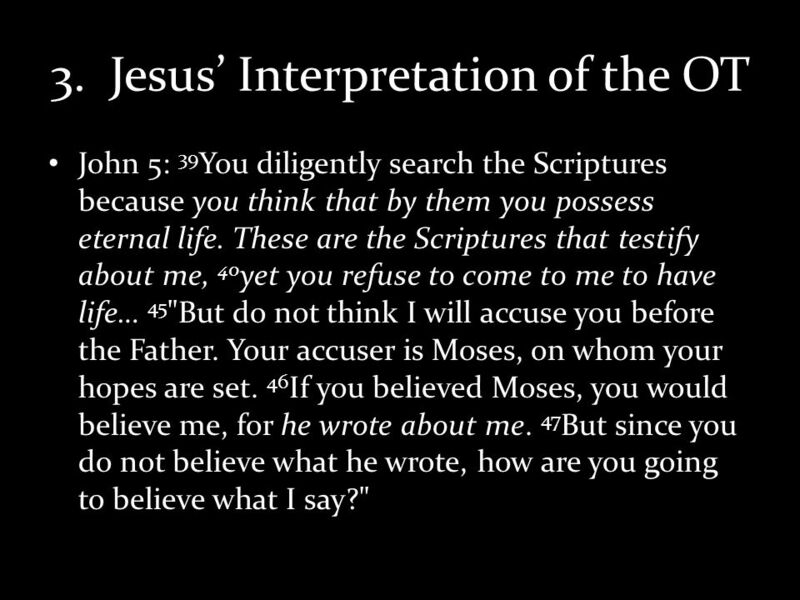 These are the Scriptures that testify about me, 40 yet you refuse to come to me to have life… 45 "But do not think I will accuse you before the Father. Your accuser is Moses, on whom your hopes are set. 46 If you believed Moses, you would believe me, for he wrote about me. 47 But since you do not believe what he wrote, how are you going to believe what I say?" 10 3. 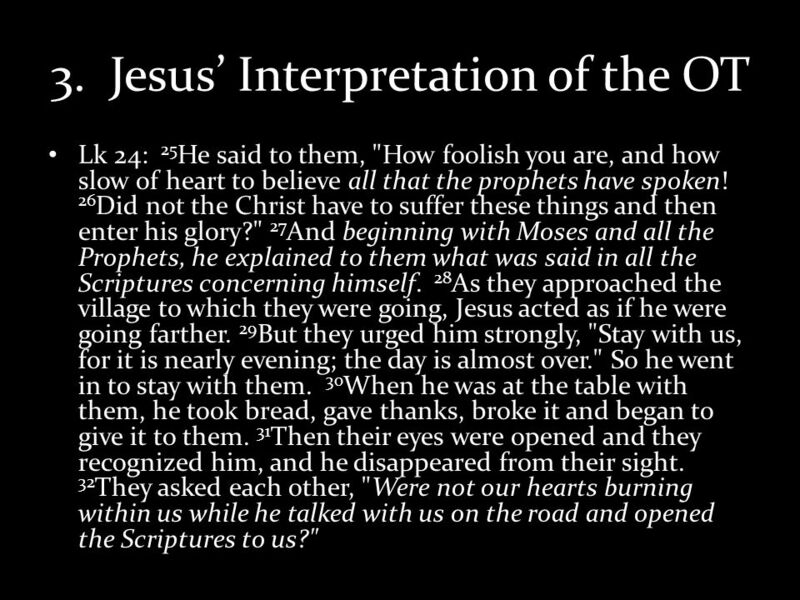 Jesus Interpretation of the OT Lk 24: 25 He said to them, "How foolish you are, and how slow of heart to believe all that the prophets have spoken! 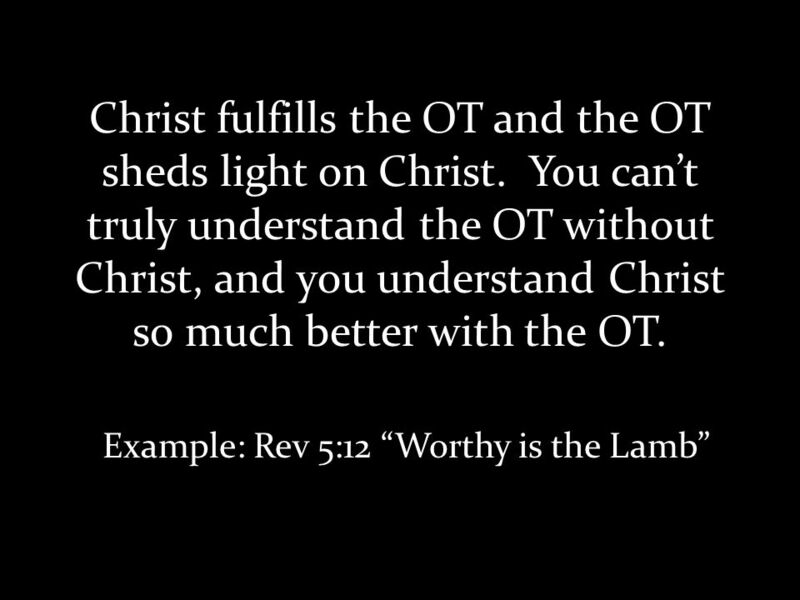 26 Did not the Christ have to suffer these things and then enter his glory?" 27 And beginning with Moses and all the Prophets, he explained to them what was said in all the Scriptures concerning himself. 28 As they approached the village to which they were going, Jesus acted as if he were going farther. 29 But they urged him strongly, "Stay with us, for it is nearly evening; the day is almost over." So he went in to stay with them. 30 When he was at the table with them, he took bread, gave thanks, broke it and began to give it to them. 31 Then their eyes were opened and they recognized him, and he disappeared from their sight. 32 They asked each other, "Were not our hearts burning within us while he talked with us on the road and opened the Scriptures to us?" 11 3. 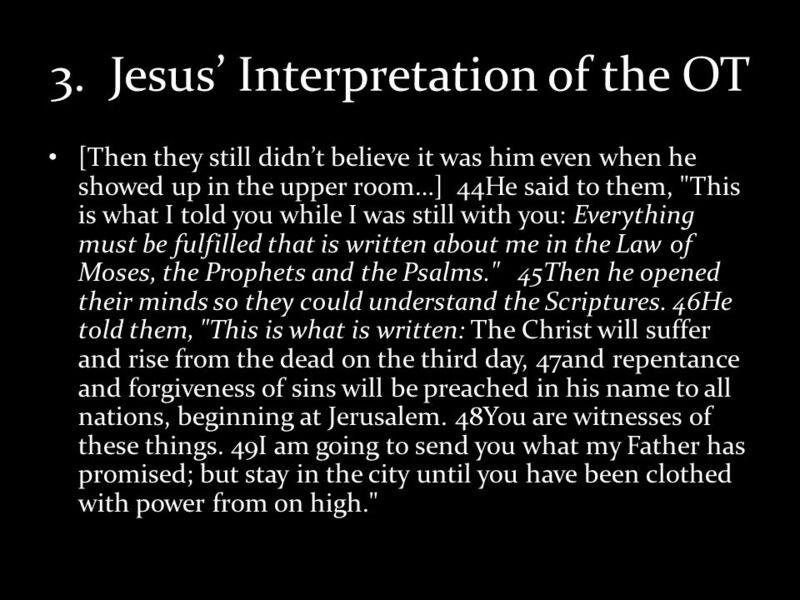 Jesus Interpretation of the OT [Then they still didnt believe it was him even when he showed up in the upper room…] 44He said to them, "This is what I told you while I was still with you: Everything must be fulfilled that is written about me in the Law of Moses, the Prophets and the Psalms." 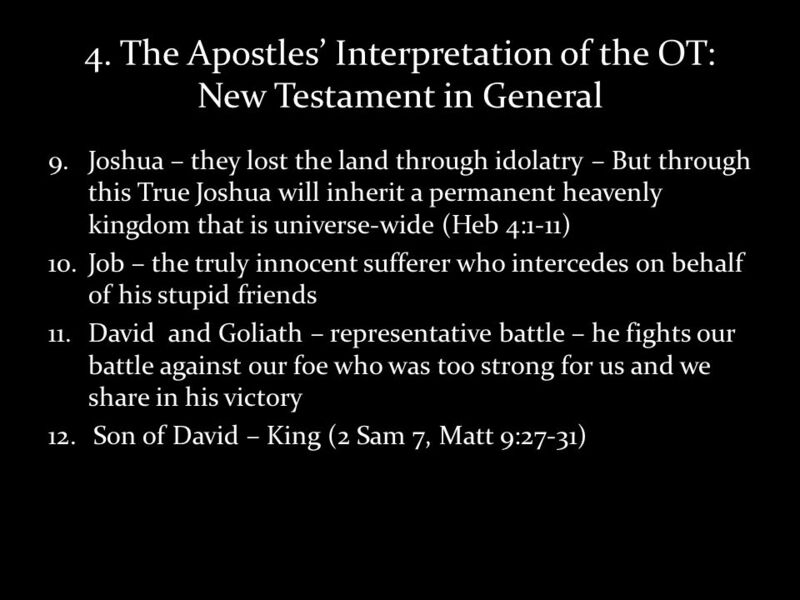 45Then he opened their minds so they could understand the Scriptures. 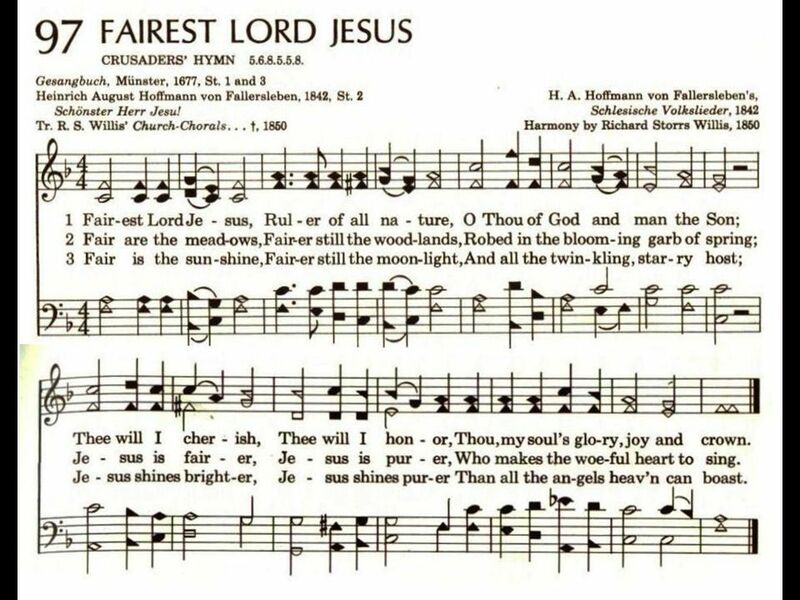 46He told them, "This is what is written: The Christ will suffer and rise from the dead on the third day, 47and repentance and forgiveness of sins will be preached in his name to all nations, beginning at Jerusalem. 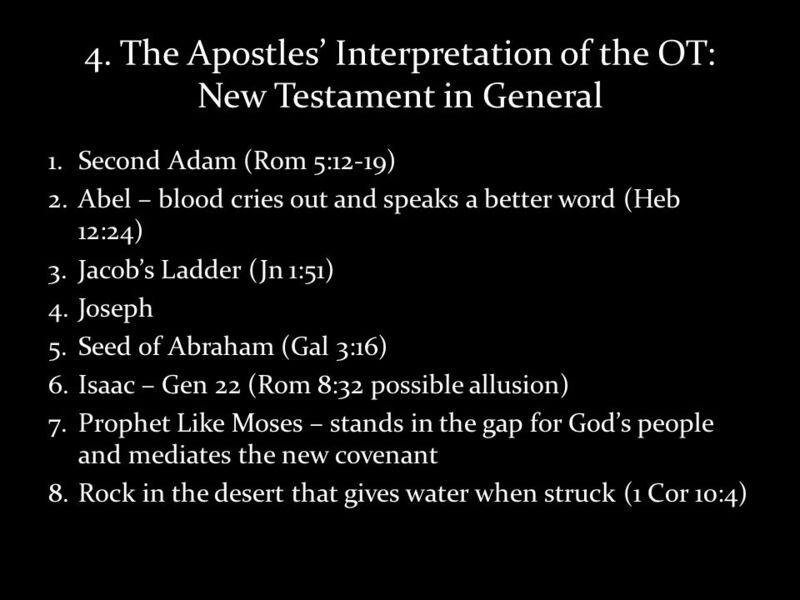 48You are witnesses of these things. 49I am going to send you what my Father has promised; but stay in the city until you have been clothed with power from on high." 21 5. 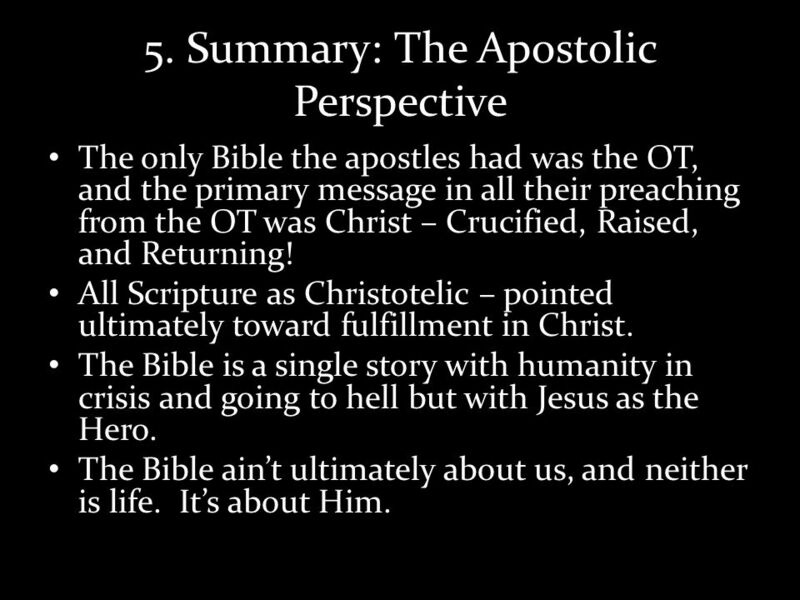 Summary: The Apostolic Perspective The only Bible the apostles had was the OT, and the primary message in all their preaching from the OT was Christ – Crucified, Raised, and Returning! 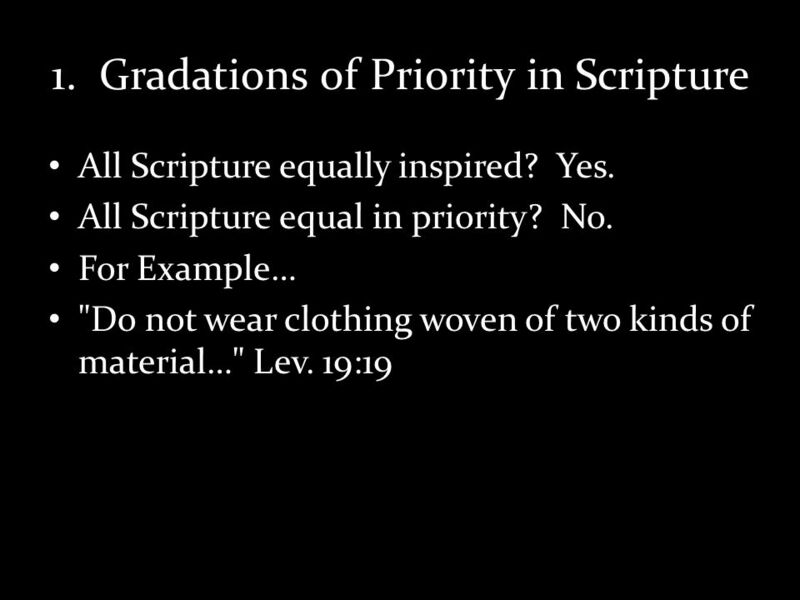 All Scripture as Christotelic – pointed ultimately toward fulfillment in Christ. The Bible is a single story with humanity in crisis and going to hell but with Jesus as the Hero. 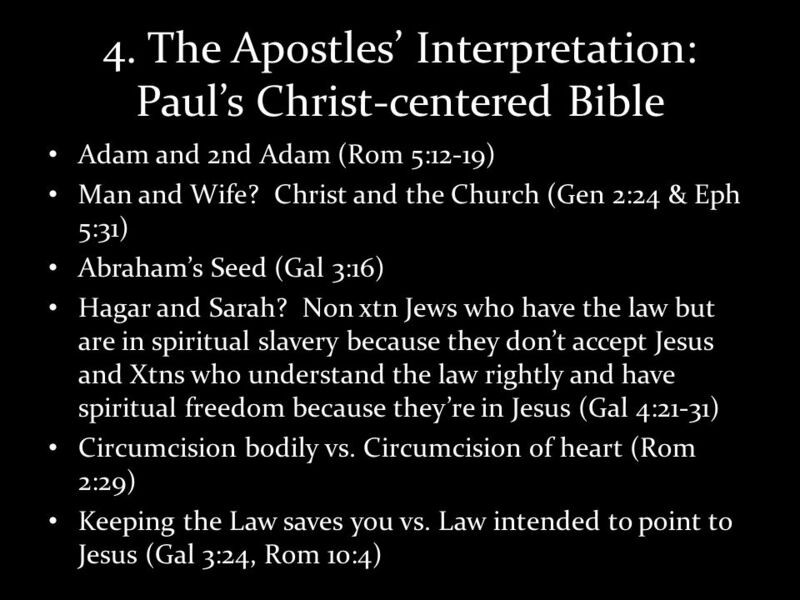 The Bible aint ultimately about us, and neither is life. Its about Him. 23 Why did I go here? What are we up to? 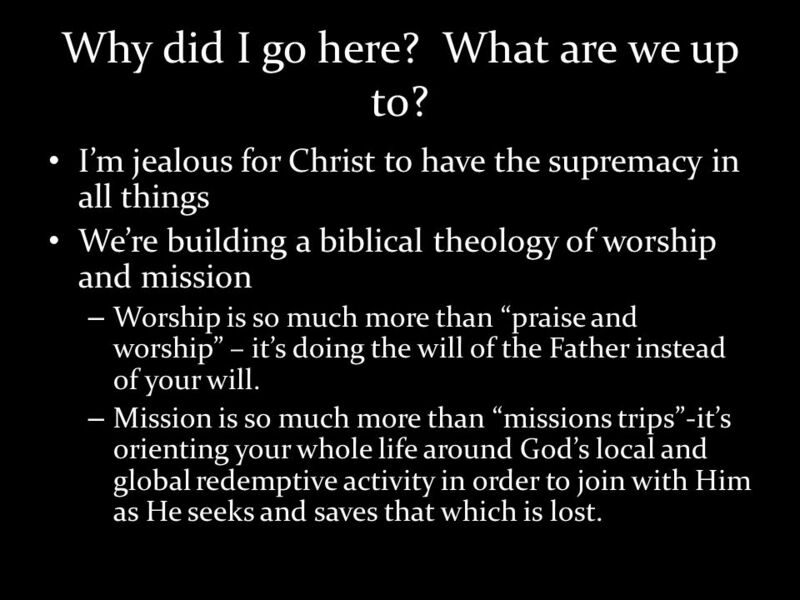 Im jealous for Christ to have the supremacy in all things Were building a biblical theology of worship and mission – Worship is so much more than praise and worship – its doing the will of the Father instead of your will. 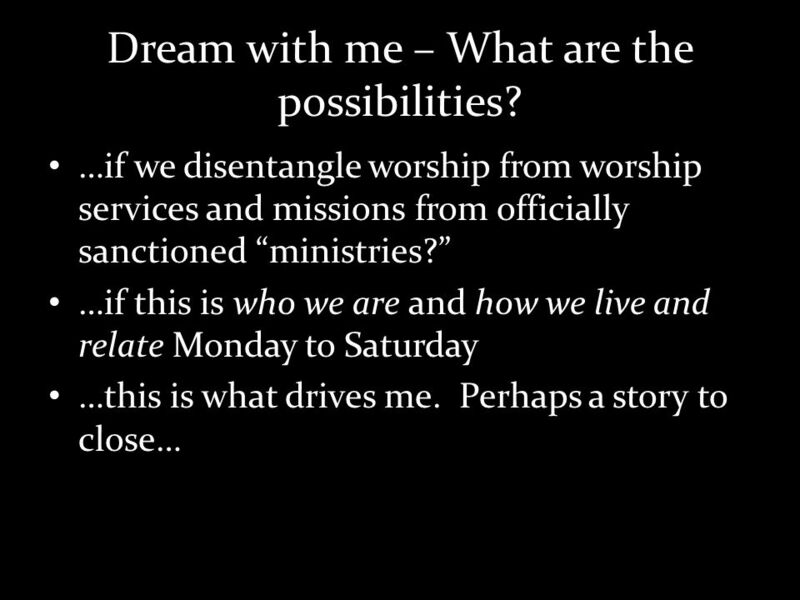 – Mission is so much more than missions trips-its orienting your whole life around Gods local and global redemptive activity in order to join with Him as He seeks and saves that which is lost. 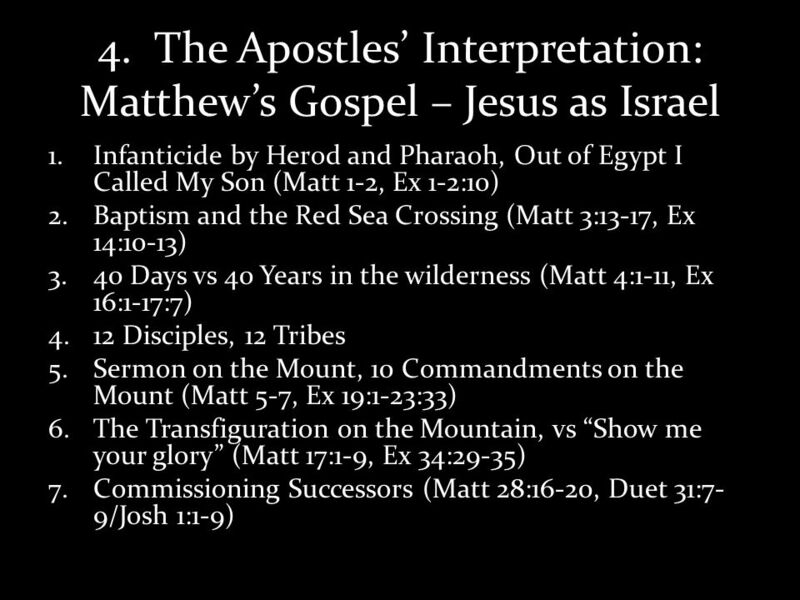 Download ppt "What is the Bible all about? Given that the Bible is a collection of 66 distinct literary works written and collected over a millennium and a half long." A Look at Opportunities and How We Respond. We have all seen bracelets with the letters WWJD The question I want to ask is WWYD Scripture is filled with. 2 Peter 3:9. What about all the lost people in deep, dark Africa? Ebenezer Church www.ebe.org.uk/sermon On the first day of the week, very early in the morning, the women took the spices they had prepared and went to.